Are you ready Roserians?! The first round of the 2018 Summer Games will soon be here! The 1st round matches will be taking place on Friday August 10th at 1:00 PM PDT! . Teams please make sure to log in and check in with [CM] AndraSyte at the latest 10 minutes before the first match begins. [CM] AndraSyte will be logged on and standing in front of Junon Polis starting at 12:15 PM PDT in order to begin check ins! All members must be present and checked in by 12:50 PM PDT on Friday August 10th and be prepared to be summoned to the tournament map once their match is ready to begin. [CM] AndraSyte will be standing directly outside of Junon Polis in order to check in teams. Spoiler Rules for the Summer Games have been updated! Please review them below! No resurrections will be allowed. Once you are KO'd players will be re-spawned in a corner of the map. Once re-spawned please do not move or rejoin the fight. If a player or players is seen coming out of the re-spawn area to rejoin the fight their team will be subject to disqualification. Matches will have a time limit of 5 minutes! If the match hits the 5 minute time limit the team with the most surviving players will be declared the winner! Teams will be allowed to substitute players out in case they are unable to make the matches next week. However, a finalized team roster must be submitted via PM to CM AndraSyte no later than Thursday August 9th! If no new roster is submitted then check ins will be based on the original registration that was submitted. Don't forget to tune in Friday August 10th as we will be streaming all the matches on WarpPortal's YouTube and Twitch Channels! Edited 08/02: Check in location and times have been updated! Is this going to take place over the course of multiple days even with only 6 teams entering? You guys are very aware that a fight between each team, really won't last more than 5min.... and with that being said only 6 teams.. might aswell hold it on 1 day cause Its summer, we have work, lives. A double elimination tournament with 6 entrants, will have 10 sets to be played to finish, unless there is a bracket reset in grand finals, then 11 sets. A round robin tournament with 6 entrants, will have 15 sets to be played to finish. Lets look back at the tournament in 2014 and in 2012. The 2014 tournament was a 1v1 format and had 24 entrants. 24 sets were played and Leonis ran it in one day over the period of a few hours. Here is a link to the challonge bracket. The 2012 tournament was a 3v3 format, and there were actually 2 tournies for each server then done on separate days. The one on the Leonis server had 18 teams and 18 sets were played. I beleive it was Calanor mainly running this one and once again it was finished in one day over the period of a few hours. Here is a link to the thread with the bracket image. If these tournaments could get done in a few hours, theres no reason why a bracket a fraction of the size needs to take 3 weeks. Even if we choose to make it double elimination it'll still be less matches overall. Yes, I know gathering 5 people at a time together for a team is more troublesome than 1, but also keep in mind it's even more of a hassle for those people to be available for the tournament at a specific time for multiple days as well. Getting off of work for potentially each Friday for 3 weeks in a row is harder than doing it for one. Considering it's the afternoon in the Americas, and wee hours of the morning for Asian players who make up that vast majority of the games population now. The only region that maybe wouldn't have had issues with interfering with work/sleep schedule is Europe, and well....... Lets not talk about that. If you guys need some help running this, feel free to let me know. Edited by Phish, 24 July 2018 - 06:19 PM. Well said Phish, I'd even volunteered to help with assisting it during the last tourney as well HAH you can guess how they responded. But Yes, the only reasons for it taking this long boils down to what I presume to be either [a] a lack of interest on the staffs end, or lack of knowledge period -which is clearly exemplified by the narration going on in the last tourney- or [b] they intentionally dragging it out for publicity... if that's even a fair descriptor, and trying to use it as an 'event mule' to beat as long as they can to try and keep as many players interested for as long as they can. Either way, 6 teams.... should take 2 hours TOPS accounting for slow connections, slow response times, etc, etc. But hey, at least they have a new map to hold the tourney on right? You know, that new super boss map? Because I can honestly say, holding it in lions plains and spawning both teams at opposite ends, then telling the teams to find each other instead of telling one team to stay in a general area and the other team invades was not such a good strat. Can we bet in this match? Like 100b for aura, or its restricted? Gambling? On a game for children and teenagers? Genius! LOL..... I look forward to it! if you already submitted a line up and the registration is already close participants of the event is allowed to change name to change so they can change there line up? I imagine that would be cheating. Changing your name to a different name, and then changing another characters name to the previous name registered is manipulating the line-up and misrepresenting your registered team. If it were up to me, that team would be disqualified. It would have to be done intentionally, with the goal of flying under the radar and done to give an unfair advantage. But I don't make the rules, and the staff isn't as invested in the fairness of the event, they're more concerned with the publicity and morality injection the event aims to create. Again, personally, I think such a manipulation of the registered team names and classes should be met with a disqualification. Why would a team get disqualified if someone name changed. Classes arent involved in the register. Any player with more than 1 class can switch between his own char's if he wants too and use whatever name he wants lol. What do classes have anything to do with it. Last years tournament, you were allowed substitutions, which i assume given the lack of players now,time-zones differences it works the same way so why does it even matter lmao. get a grip. Because there are rules for the tournament. Using name changes to change your teams roster, is purposefully trying to mislead your opponents. It's unsportsmanlike and that type of behavior is typically met with penalty's or disqualifications in any tournament. Aside from the fact that I would NOT be surprised if someone tried to use this method to break the rules of not having more than 2 of a class on their team, it's also EXTREMELY shifty behavior for 1 person playing on more than 1 team. Now, I didn't say anywhere, that someone shouldn't be able to name change and or play whatever character they wanted. I specifically was making a point that once you've registered that name+class combination, you should be required to participate as that registered combination, or forfeit. I then made the proposition that if anyone is caught doing this, they should be disqualified. I know precisely why people want to do it. It's so the enemy teams don't know your composition before they meet. In short, you'd be lying. You'd be falsifying your registration to gain an unfair advantage. You'd be cheating. Plain and simple. its less them wanting to hide their "real set up" and more they saw the other teams and realized they should change it up to counter. Either way, its shady. Then again, its rose and the rose team...thats all he wrote. How is that shady, you act like anybody playing anything on rose isn't allowed to name change their own characters or swap names between them. I sure have. Sad attempt to get a team disqualified instead of supporting the event in its entirety. Its a 5v5, every clan has the choice of any line-up they'd like. I dont see the issue. Along with ur allowed substitutes so this entire topic is completely useless and just crying. Edited by Robertoooooo, 03 August 2018 - 10:14 AM. Let me break it down a bit further for you then. Once registration was complete, and the names were posted, every team began to research the opponents. They investigated what they were up against, made preparations, probly changed their builds and worked on their strategies. Everyone had that opportunity, all had an equal footing. But once you change that line up, you completely remove that fairness from the opponents. You gain an unfair advantage, because while you still know who/what your enemy is, they don't. And before I get the argument "who's going to research their competition, this isn't the Olympics hur dur it's just ROSE why you salt m8" I'll simply say, I don't believe that for a second. PvP in ROSE is highly competitive, and the players invest HEAVILY into winning; both financially and emotionally. The ultimate PvP prize in ROSE has always only been about bragging rights and gloating. There's no ranking system, there's no accumulative statistics, it's all about for lack of a better phrase, fame and glory. So trying to say no one takes it that seriously is a flat out lie, teams were investigating each other and scouting them out as soon as those registered names were posted. It is, and I'll say it again, unsportsmanlike behavior and while it may not be explicitly against the rules, it's shady and I personally won't respect any team win or lose who partakes in these deceitful tactics. And to top it off, I am not in charge, I was just giving my opinion and perhaps next time that will be made a rule. 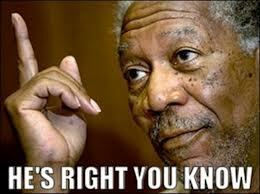 Til then, I hope the players not employing scummy tactics and manipulative actions have fun and good luck. Once registration is completed okay, so whos on Rose survelliancing what characters and classes are what. I've changed my characters names does that mean I cant participate? lol. And once again your allowed substitutions so whatever your implying literally means nothing and holds no value. It's not just me who feels that way, so unless you want to tell everyone else who agree's that their opinions mean nothing and hold no value because you said so, then you might want to not be so insufferable and just agree to disagree. I stated my position, you stated your position thinks my position is worthless, I think we're done here. Unless you want to get the last word, in that case, by all means have at it. I really don't care. you can name change all you want but the way it looks from the outside is you saw the teams, didn't like your line-up and blatantly changed it in a weird way (name change). No more than 1 Healer and 1 Off-Healer. No more than 1 of each class if 3v3, and no more than 2 of a class if 5v5. and No more than 1 Person can Resurrect per team. Last time, we had Clerics and Mages bouncing Resurrections. If your teams 'resurector' goes down, that was a tactical play by the enemy team and they should be rewarded for the strategy if they succeed. Cheesing Resurrections is annoying and imbalanced in group PvP tournaments. Edited by Feuer, 03 August 2018 - 12:35 PM. Edited by watermelonnn, 03 August 2018 - 12:48 PM. - Add the respawn timer thats in GA Arenas (If the they aren't revived in the 3-5 second timer then they are out of the match simple as that. Revive is only a big issue because the people that die can just lay there for x amount of time and get revived. - 2 Clerics shouldn't be allowed period. That was the saddest tournament setup/rules I've ever seen. There should always only be 1 Cleric. Edited by Kilauae, 03 August 2018 - 02:23 PM. The tournament is setup to be 1pm server time, there are 6 teams entering. 30 people from around the world who are entering the tournament gather, keep in mind for many players this is occuring from 3am-6am. It's a bit messy grouping everyone together, and there even is an untimely patch implemented regarding the new map, if you relog or open a new client you need to patch. Eventually the first match is started, AcesOfSpades vs OrganizationXIII. One player disconnects, has to patch and logs back in. The teams are about to fight when, wait a minute..... they're not even set to pvp; they can't even target each other. Everyone gets re-entered in a party to be legible to fight. The fight begins, (in a new Orlo map that doesn't even have textures loaded properly). The match goes on for I don't know.... 40 minutes maybe? Since a time limit was never established and both teams can continuously resurrect eachother indefinitely no team can fully wipe out the other. Eventually Zilp on OrganizationXIII disconnects and Andrasyte calls a halt and everything is delayed until next week with rule adjustments. Lets think about this for a minute.... Technical difficulties aside, are you really going to gather all of the entrants together from around the world at a once and not even finish a single game? And then pass it off after the miniscule time frame of 1.5 hours like nothing happened? It's obvious that there needs to be some adjustment, but scheduling such a small amount of time throughout multiple days is extremely disrespectul to the players and community. Leonis, finished the 2014 tourney in one day... Calanor/Shazamo finished the 2012 tourney in one day. At the absolute least, allocate a reasonable amount of time for this event. 1.5 hours is not enough, especially with all of the issues that were at hand. Even if the tournament is not to be finished in one day, at the very least schedule enough time to play all of the round ones. Atleast this way, the team who are knocked out won't need to be present for the next week. Now lets look at the stalemate issue. I hope this sets an example of why there needs to be some class balancing. Because of resurrections neither team was able to fully kill eachother. I don't beleive disabling res completely is the answer either and it also potentially results in some matches being over in 20 seconds. Note, AcesofSpades vs OrganizationXIII was not one of those on account that Aces had a highly defensive team to begin with. Though if it accounts for anything, there were far more deaths on OrganzationXIII's side than vice versa. I beleive instilling a time limit is a good answer (I would say 10 minutes) and if there is no clear victor then the winner should be the team who had more kills. Resurrecting will be allowed, but would actually be more a liability if you can't actually kill the opponent. I'm sure there is a way to track this as all 3 GA pvp modes keep track of kills. I also think Feuer's suggestion is fair too, only allow one player on the team to be a designated resser. Say you have 1 cleric and 2 mages, that cleric will be chosen as the designated resser. Everyone one else on the team, take the skill off of your toolbar; if you use it on your allies it's a match loss. Resurrect is still part of the game and should be tactical and not removed completely. I don't think limiting clerics is the answer, especially since people signed up already and may still want to play on their character, I think limiting, but not removing resurrect completely is more fair. Also consider simply adding a respawn time like Junon Cartel and Game Arena PvP games have. Once your'e dead for 10 seconds, you respawn. This is the basic skill. It costs 5 points to max, has the longest cooldown of 7 seconds and the longest range of 25m. This is the unique skill. it has Soul Restore as a prerequisite and maxes at level 3. It has the second longest cooldown at 2.5 seconds and 10m range. This is the Item mall skill, it costs 0 points to max and has the shortest cooldown at 1 second and has 10m range. It however has a slightly higher mp cost to cast. Soul Restore is the one everyone uses because it doesn't cost any skill points, and has a cooldown shorter than every active skill in the game. This potentially causes imbalance in pvp for reasons we saw just now. Obviously there are bad times to res an ally, but if both teams are balanced and as long as your team isn't significantly weaker than the other it can be very strong. It's even more powerful when one team has multiple classes that can cast it, ie mages. The high(ish) mp cost of casting res is less of a factor the higher level and stronger the castor is. Because at this point they will have gear and passives which increase their mp consumption and mp recovery far better than if it was on a low level muse using it. 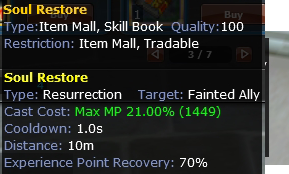 At some point or another, the cooldowns on them should be increased, specifically Soul Restore as it does not require any points to invest into. The muse tree ones are also a deterrent for mages to get because they have the single target heals as prerquisites, which mages obviously don't take. I would suggest increasing the cooldown on soul restore to 15-20 seconds. And possibly giving it a wand requirement as well. The others can be increased an additional 5 seconds or so as well. Anyway, Andrasyte and Genesis, please consider these suggestions, and the suggestions of the community before setting anything in stone yet. Edited by Phish, 03 August 2018 - 07:31 PM. I would like to point out one other thing. If you have a portion of your screen hidden by your user interface in OBS..... Don't, I repeat, DO NOT, use that hidden section for the majority of your frame space. You literally had the combat OFF SCREEN the majority of the time. The top 1/4th that's hidden, is where you had the teams centered. Stop doing that, OR, adjust your resolution so the screenspace is properly framed in your Overlay and OBS. K thanks. Edited by Feuer, 03 August 2018 - 02:42 PM.